What better way to kick off PAX weekend than a brand-new Robot Master reveal? Heeeere's Impact Man! 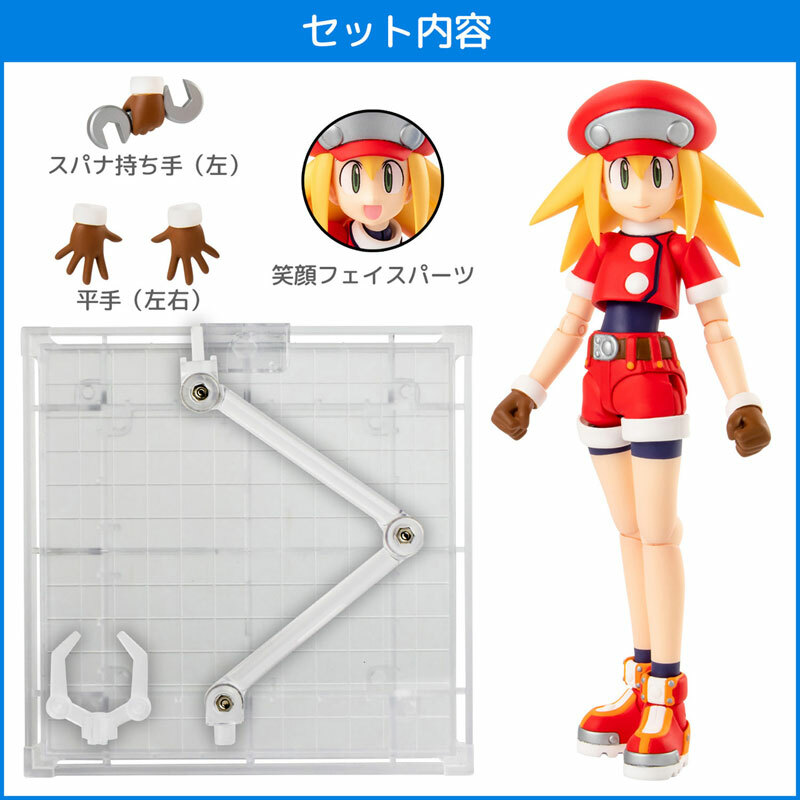 Announced a couple of weeks ago on Capcom TV, the ultimate and most expensive piece of Rockman memorabilia is finally available to purchase. The statue comes in two sizes: 100mm and 60mm. The 100mm will run you 2,400,000.00 Yen + Tax ($21,623.00) and the 60mm goes for 690,000 Yen + Tax ($6,216.00). Each ships with a luxurious display and leather case. The statue will be available until the last day of this year. It's expected to ship between 30 and 60 days after purchase. Hit the jump below for the full details! 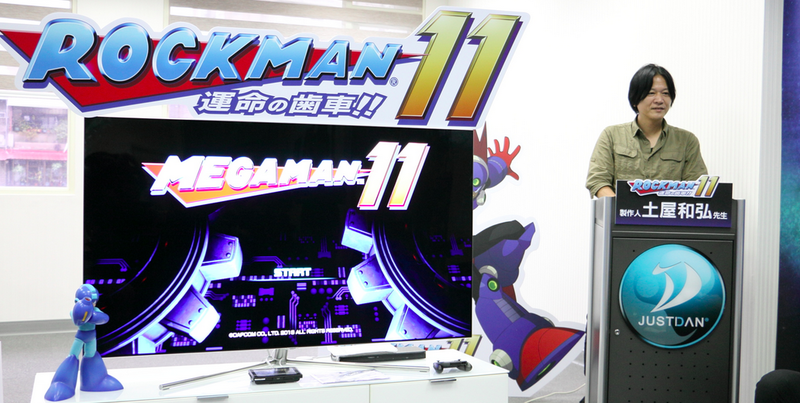 Kazuhiro Tsuchiya Talks About the Possibility of "Rockman X9"
Yesterday, Rockman 11 producer Kazuhiro Tsuchiya held a press conference in Taiwan to introduce the game to the Taiwanese media. After his presentation, GNN and other members of the press had the chance to ask Tsuchiya some questions. Among topics covered, Tsuchiya actually had a few words to say about a hypothetical Rockman X9. 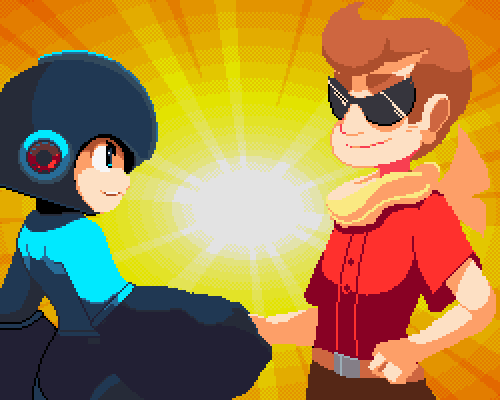 Rockman Corner & The Mega Man Network Team Up for "The Fully Charged Podcast"
So here's something fun we've been meaning to do for, gosh, forever? The Mega Man Network's LBD "Nytetrayn" and I have finally teamed up for our very own podcast! 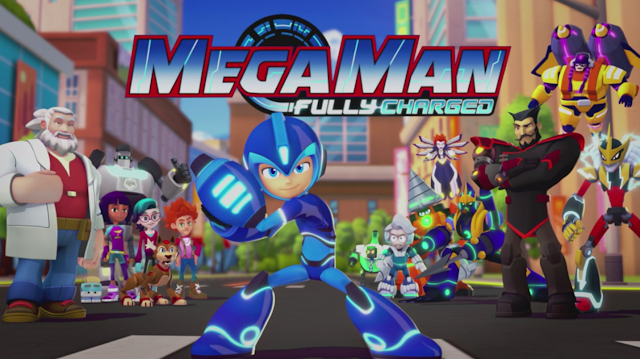 We're calling it "The Fully Charged Podcast" and we'll be talking about Mega Man: Fully Charged, as well as the latest Mega Man news. We're hoping to meet at least once a week to do a show – or whenever. Point is, this will be a regular thing going forward. So hey, why not listen to our first episode? Hit the jump below! 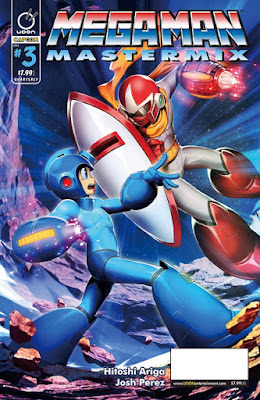 To celebrate Rockman's 30th anniversary, Japanese mobile game No Heroes Allowed! DASH! is partnering with Capcom for a special Rockman collaboration. From August 30th to September 13th, several classic series characters will appear in the game as both allies and foes. Rockman 11 Robot Masters Block Man and Fuse Man will make an appearance, too! Watch some gameplay after the jump below! In just a couple weeks Canadian fans will finally be able to watch Mega Man: Fully Charged through legitimate means. The show is set to premier on Saturday, September 8th on Family CHRGD at 8:30am, I Miss Bionix reports. A special encore is set to air later that day at 12:40pm followed by a new episode on Sunday, September 9th, in the same time slot. 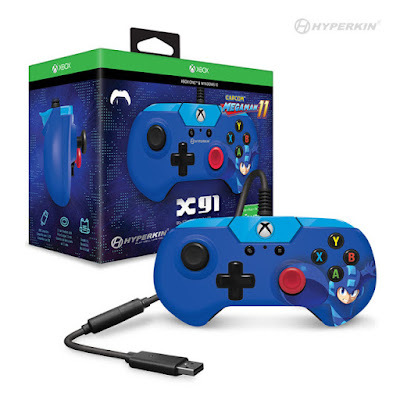 Hyperkin has revealed their Mega Man 11-themed X91 wired controller for Xbox One and PC. It's due hit retail right in time for Mega Man 11 on October 2nd &amp, retailing for $29.99 (£23.34/€25.79). 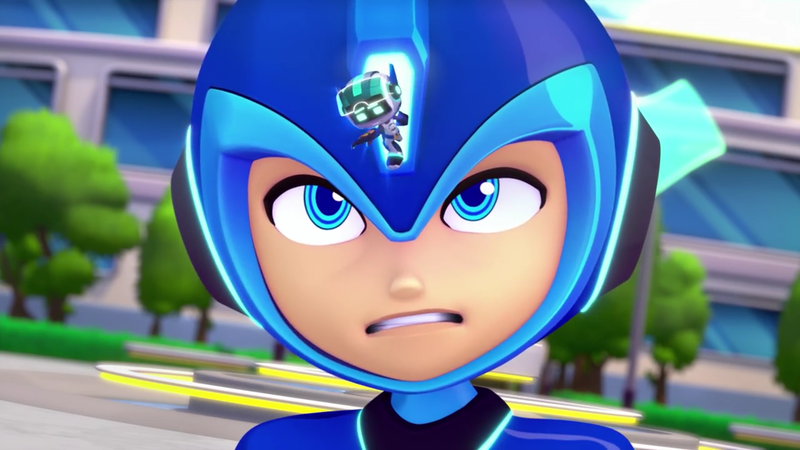 The titles and descriptions for several new Mega Man: Fully Charged episodes have been revealed via Futon Critic. It looks like theere's going to be quite a few new and familiar faces coming down the pike! Rockman 11 Original Soundtrack will be released on November 14, 2018 for 3,456 yen, Capcom announced. The soundtrack will ship on two CDs: the game's soundtrack on one, and special arranged bonus tracks and sound effects on the other. The jacket of the CD will feature a new illustration, too. 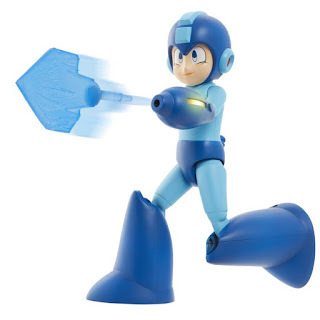 Well it seems the classic Blue Bomber as we know him exists within the Pachislot Rockman Ability universe! This bit of news comes to us from Twitter user Yamato_Nare who seems to be playing the game a few weeks early. Today, Capcom announced their lineup for the upcoming Tokyo Game Show (September 20th to 23rd). Among the titles they will exhibit is Rockman 11. The game will be playable with four stages/bosses and three difficulty choices. No word yet on which stages will be playable, though. 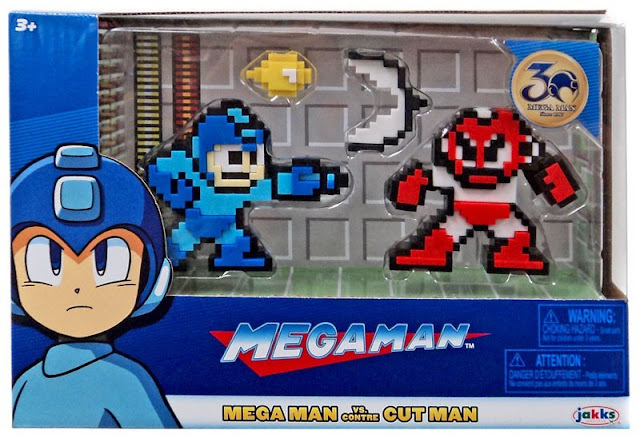 Fuse Man, Block Man, Torch Man, and Blast Man, maybe? We'll see. Capcom are also planning to hold various stage events and some form of live streaming for the folks at home. More information will be revealed at a later date. And lastly, what's a TGS without some exclusive merchandise? Check 'em out after the jump! The figure was originally slated to drop this month but according to BBTS, it's now due sometime in Q4 2018 (i.e later this year). Pre-orders are available now for $42.99. 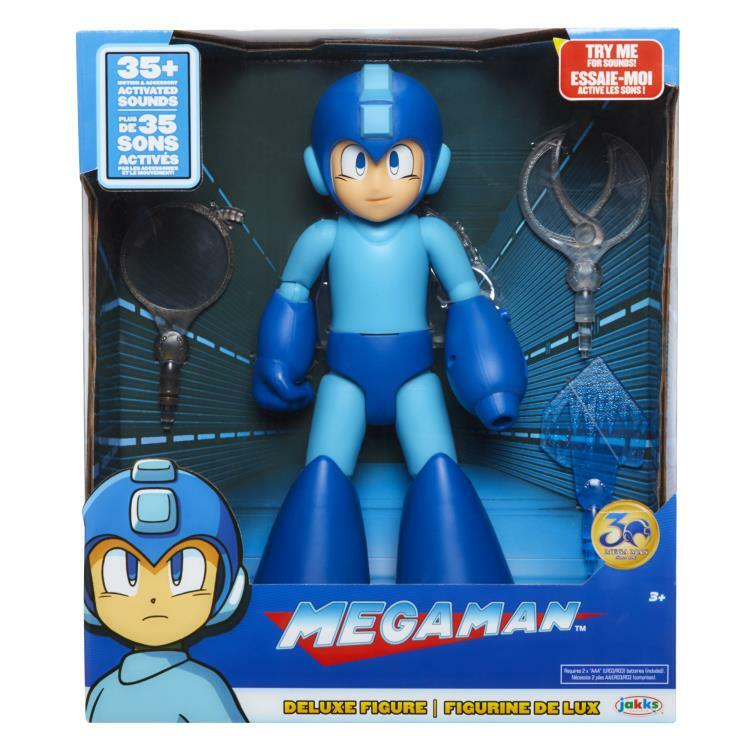 Do note that the "Mega Man Classic Deluxe Action Figure" isn't available yet. Several retailers continue to list it with an August release date, though. I suppose it's possible it could drop within the next week or so, but we're probably looking at a delay. More news on that front soon. Thanks to Eric, Jimb0, MCX, and MJMenendez for the tips! I'm a little surprised this didn't happen sooner but here it is: Funko (yes, that Funko) are developing official Mega Man Pez dispensers. Three variants are in the works – classic blue, red Magnet Missile, and a GameStop exclusive green Gyro Attack. The latter glows in the dark! All three dispensers are hitting retailers in October, just in time for Halloween! 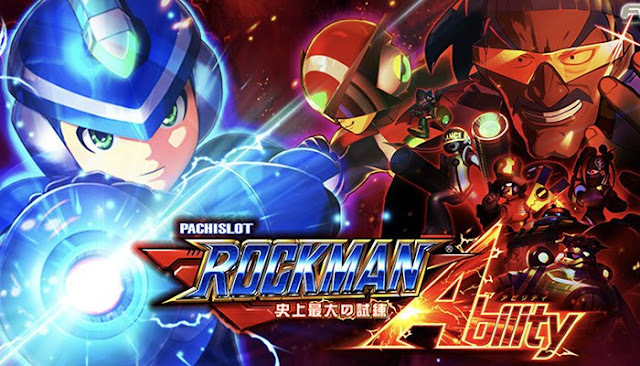 The official Pachislot Rockman Ability website has launched and it includes a debut trailer with plenty of action and a catchy Jpop song. Check it out above! 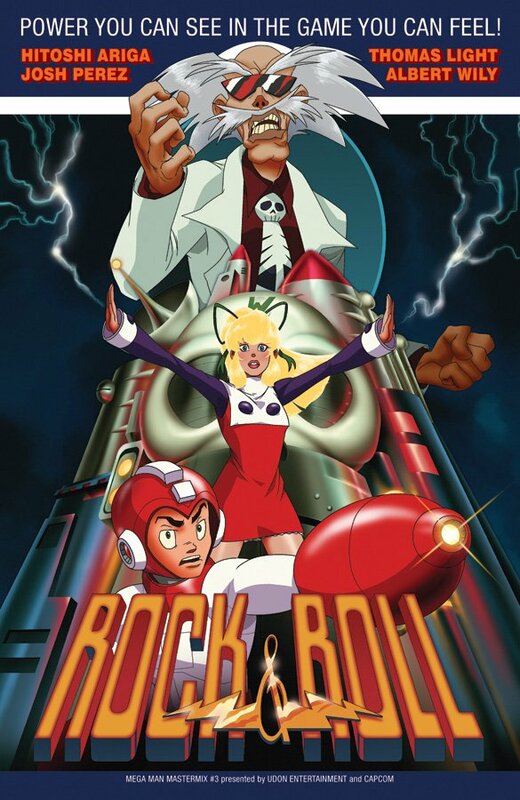 As for the site itself, it features a plot synopsis and a complete list of characters from Rockman and the new female Dr.Light to Dr. Wily and his rowdy crew of pachislot-themed Robot Masters. I'll have a story translation up soon – stay tuned! Thanks to @enterlion777 for the tip! 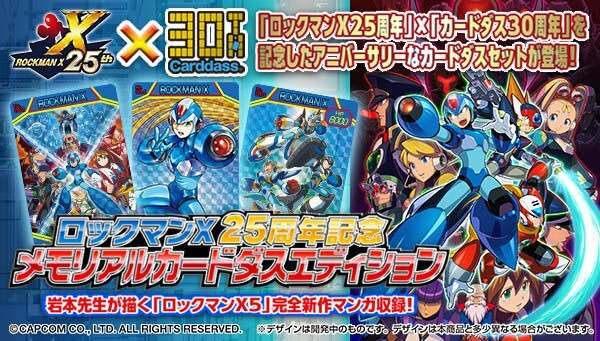 Bandai Announces "Rockman X 25th Anniversary - Memorial Carddass Edition"
Back in July Bandai announced that they would be producing a completely new set of Carddass Rockman X cards rather than reprinting further older cards like they did early this year with the Rockman X & Rockman X Mega Mission Selection Box. 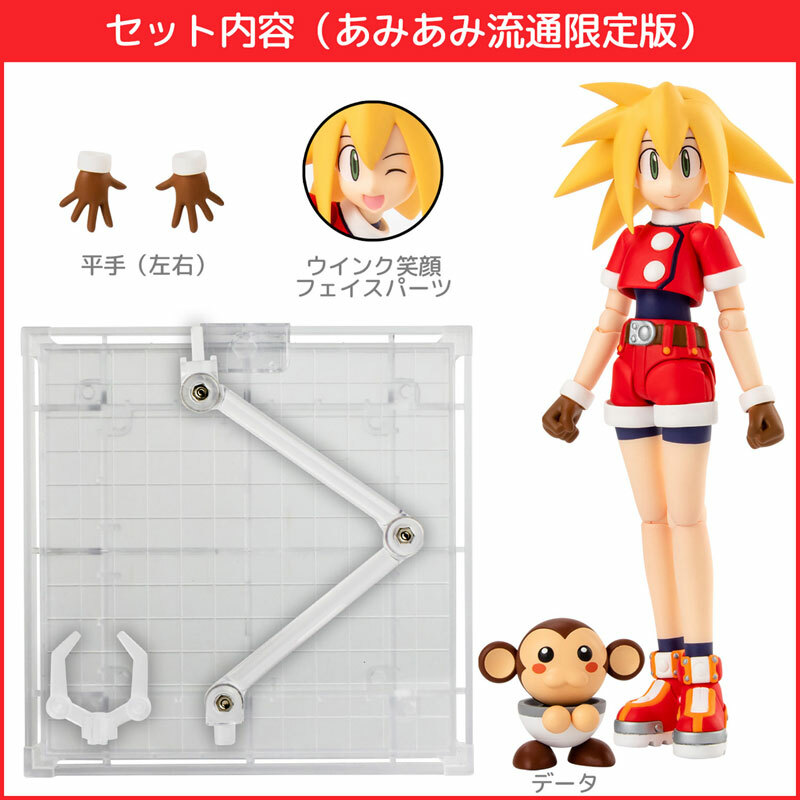 This new set will contain brand-new cards and a new manga by Yoshihiro Iwamoto, mangaka of the famous Rockman X manga. The set comes with 24 cards, 10 of them will have new illustrations by Yoshihiro Iwamoto. Pachislot Rockman Ability Gets Equipped With "Reverse Blade"
Well, Special Weapons are confirmed for Pachislot Rockman Ability. This bit of news comes to us by way of entaraina, who seemingly has the game in-hand a whole month early. "Reverse Blade" is Reversi Man's Special Weapon (you can see what Reversi Man looks like here. He's the third bot from the left). Speculation says it could enable players the ability to reverse the machine's roulette wheel. That sounds like a fairly reasonable assumption, if you ask me. 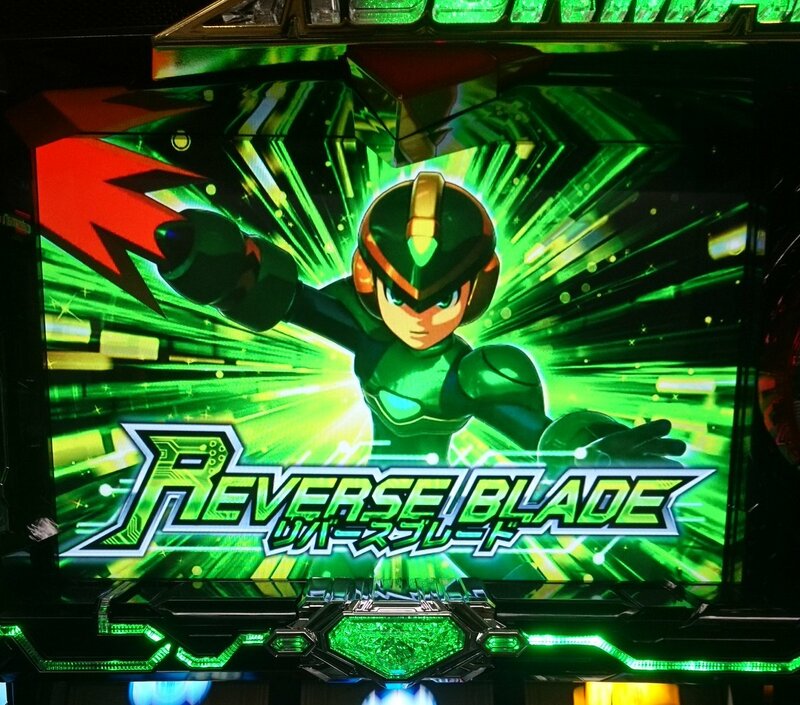 Also, it looks like Reverse Blade will change the appearance of the Rock Buster. We can probably expect the same thing from the other Special Weapons too. 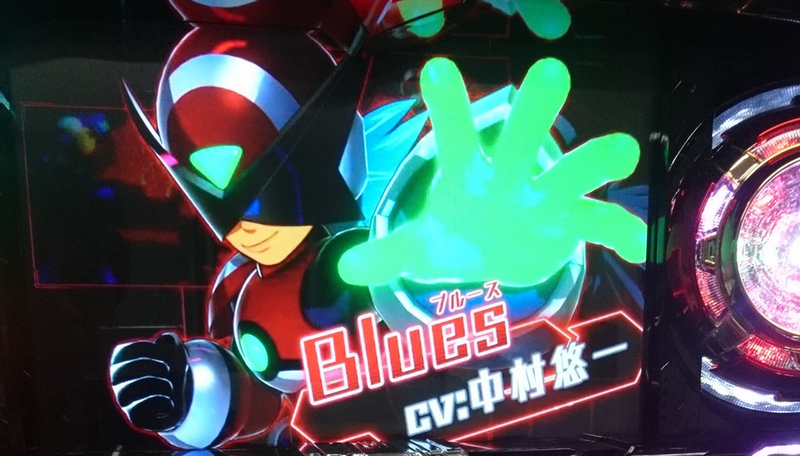 With Rockman Ability "leaks" dropping almost daily, we probably won't have to wait too long to see the rest! That's all for now. I know there's a few other issues users would like to see ironed out as well. We'll see what happens. For now, I advise you to continue to vocalize what you'd like to see in a future patch. 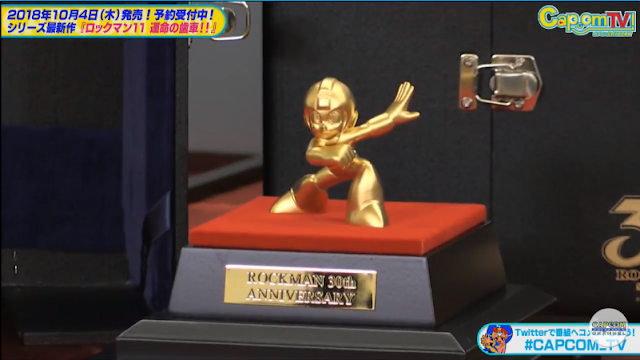 Capcom Japan has revealed not one, but two new 30th Anniversary statues on today's Capcom-TV stream! 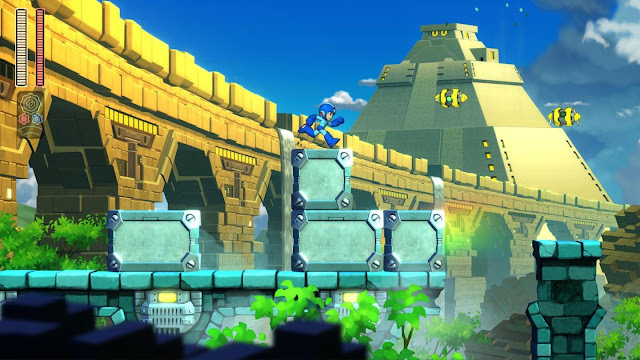 The stream showed gameplay of one the new challenges featured in "Challenge Mode" in Mega Man 11, the mode shown counted how many jumps you had made in the stage, the goal being to reach the end of the stage with the minimum amount of jumps used. Speaking of jumps, more after the jump below. 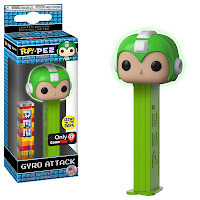 Another day, another off-screen Pachislot Rockman Ability leak. This time we have a very brief clip of Rock, Roll, and Trancy encountering Blues (or as he's better known online, "Poké Ball Blues"). Check it after the break! I'm sure most of us out there have been enjoying the recently released Mega Man X Legacy Collection 1+2. However some have noticed that there is a fair bit of input delay especially in some of the earlier titles (X1-X3). Well the good folks over at GigaBoots have certainly put the time and effort in on this video & have tested the input lag on all the X titles on all systems to find out which version of MMXLC1+2 displays the least amount of lag. This includes the Switch (docked and portable), launch Xbox One consoles, Xbox One X, PS4, and PS4 Pro all compared against original SNES hardware as well as the SNES Mini version of X1. On top of that, they even went so far as to try many different control methods with each console too! So which console has the least amount of lag across all 8 titles? Check out the video above – the results may surprise you! What do you guys think? Have you noticed any lag while playing the MMXLC1+2 yourself? When it rains, it pours, guys. New images and a brief cutscene from Rockman Ability – the upcoming, Japanese-exclusive pachislot game – have appeared online courtesy of entaraina. Check 'em out after the jump below! 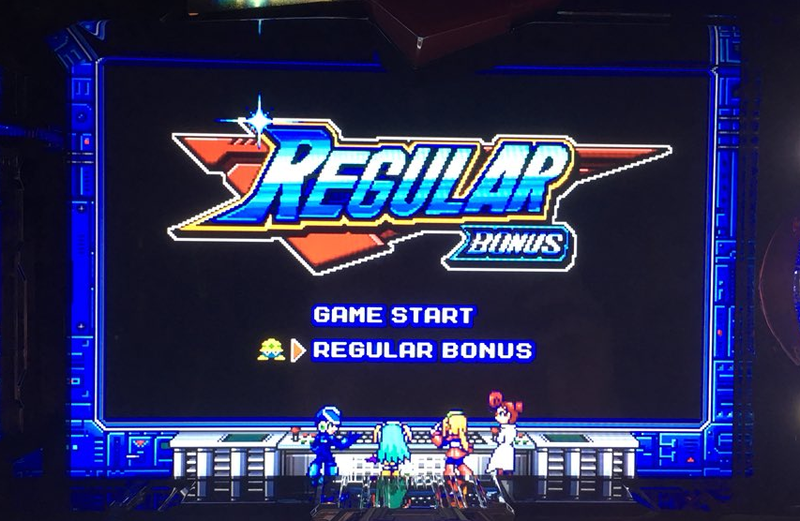 If there was any doubt that Pachislot Rockman Ability (the upcoming Rockman pachinko game) isn't set in its own universe, this should get rid of it. 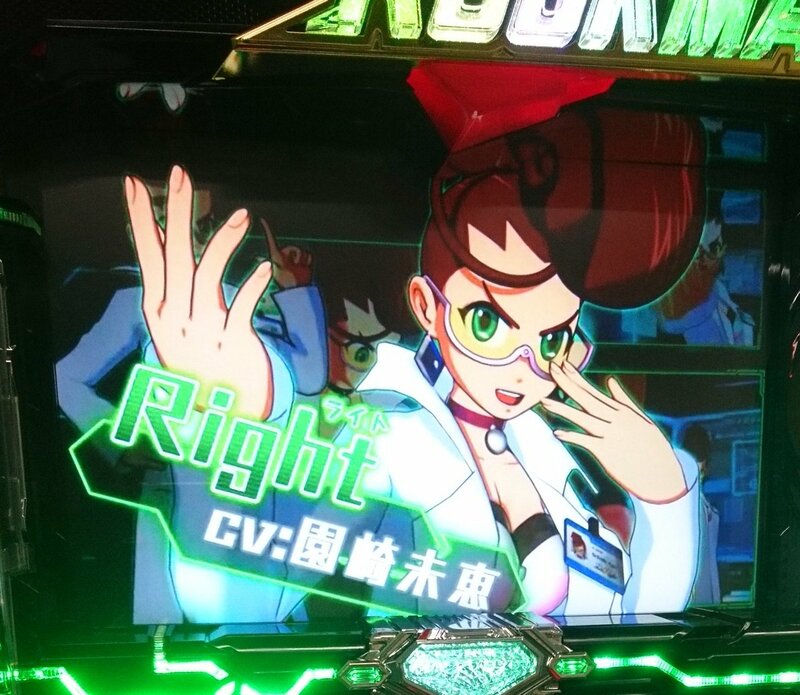 Spotted by Twitter user entaraina, Rockman Ability will feature the first female incarnation of the good doctor. She will be voiced by Mie Sonozak, best known for her work in various anime and video games. 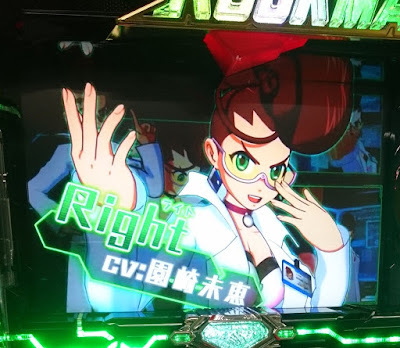 In the case of the latter, she is best known for her role as Crimson Viper in Street Fighter IV and Arle Nadja in the Puyo Puyo franchise. No other details about Dr. Light are available at this time. If tradition stands true, however, we can infer that she is the creator of Rock, Roll, and, maybe, Trancy. More news on Rockman Ability soon, no doubt. Thanks to Caleb for the translation! 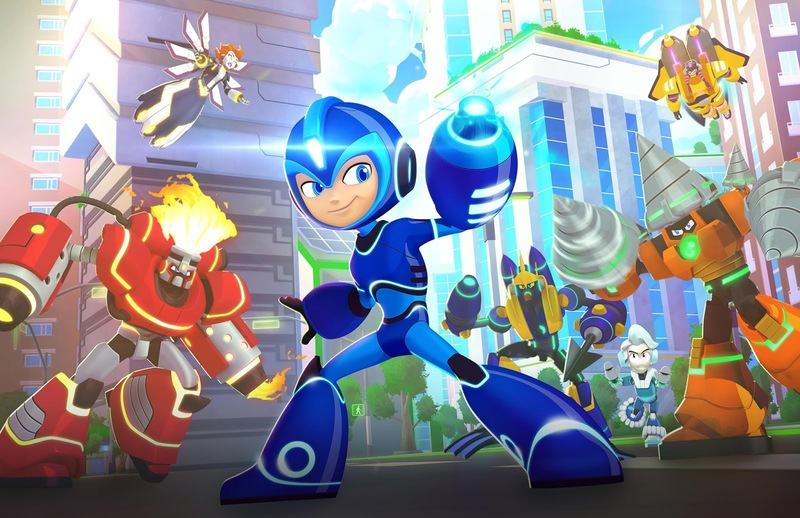 According to True Achievements, a "Mega Man 11 Demo Version" is coming our way soon – very soon. A listing for the demo has appeared on the Xbox Game Store with the following description: "take on all kinds of enemies and traps in the Block Man stage" and "use the new Double Gear system to slow down time or power up your shots and take down that boss". I think it's safe to say this will be the same demo that we saw at E3, Comic-Con, and various Capcom TV streams. It remains to be seen if this demo is exclusive to Xbox One or if it will show up on other platforms (PlayStation 4, Nintendo Switch, and PC). We'll probably learn more when Capcom officially announce the demo themselves. 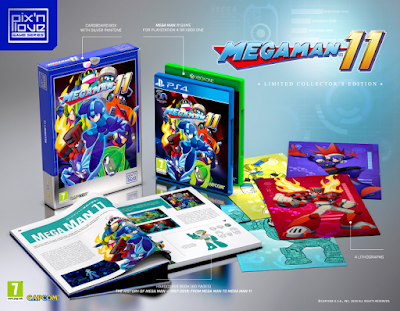 • A never-before released 80-pages hardcover book with rich illustrations, that retraces the history of the 11 games in the Mega Man franchise canon. • 4, two-sided lithographs on card stock featuring official illustrations from Mega Man 11. • A cardboard box with Pantone colors that bring the 1980s/1990s back to life. The book's description reads: "From 1987 to 2018, Pix’n Love gives you a behind-the-scenes look at all of the episodes of the Mega Man canon through a well-documented and fully illustrated book. From the very first game, Mega Man, the emblematic hero of the late 1980s, established himself as one of the most popular figures of his time, even becoming the figurehead for action games/platforms at Capcom. With over 120 different versions and 35 million copies distributed worldwide over the last three decades, the franchise is one of the most famous in the video game industry. Between anecdotes, excerpts from interviews, artwork, and design documents, immerse yourself in the singular universe of the famous little blue robot!" You can pre-order the set in the links above (international shipping is available). Supply is limited so get on it ASAP! Original slated to hit comic shops on July 25th, Mega Man Mastermix #3 has officially been pushed back to August 22nd, UDON Entertainment confirmed. As previously announced, this issue will be joined by two variant covers by Genzoman (middle) and Josh Perez (right). "Rock, Doctor Light and a reformed Doctor Wily travel into space to investigate an asteroid of alien origin! Along the journey, they find themselves attacked by not only eight new Robot Masters, but the mysterious Break Man as well! It's an adventure of all-out automaton action in outer space!" Among the many, MANY announcements made during today's Super Smash Bros. Ultimate Direct, the red crusader himself, Zero, is joining the game as an Assist Trophy. See him in action in the clip above (21:33). ... So, uh, think X will show up as an Echo Fighter down the line? E-Capcom posted a little sneak peek from the Rockman 11 Production Note on Twitter today. 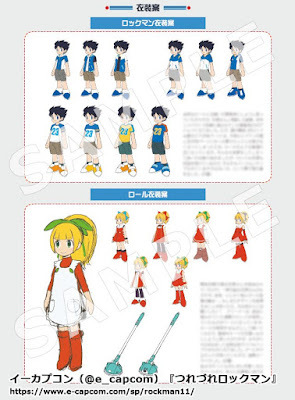 The sample page includes some concept art of Rockman in his day clothes and various pre-production Roll designs. Pretty nifty, eh? 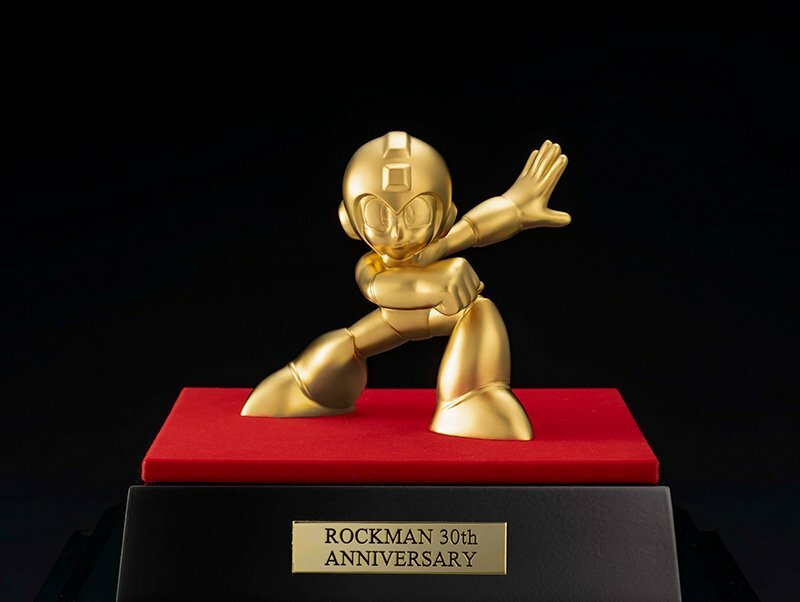 If you're just catching up, the Production Note is a 64-page book included with the Rockman 11 Limited Edition set. The book features concept art, character profiles, commentary, interviews, tribute art, and more. You can see a rundown of everything inside here. 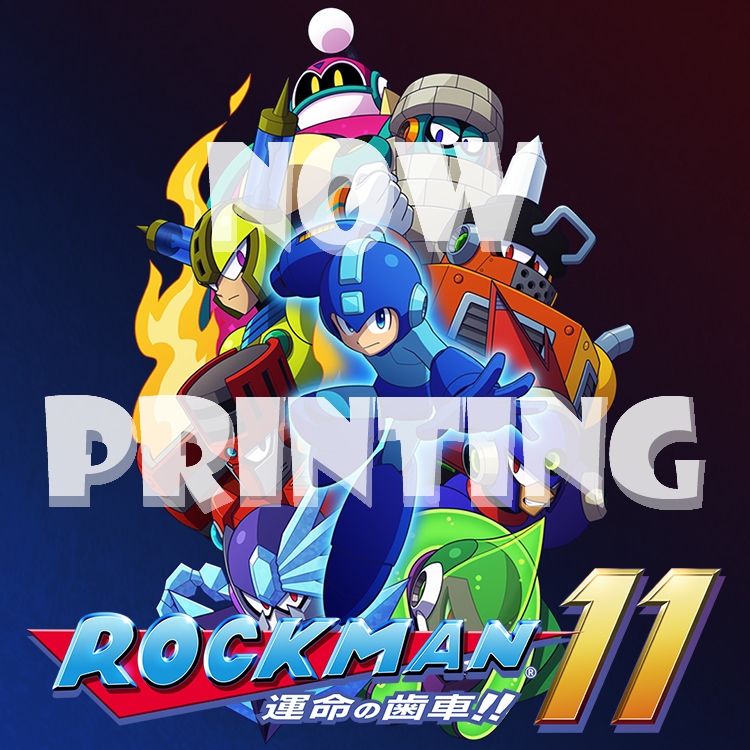 The Japanese-exclusive Rockman 11 Limited Edition set is currently sold out at Amazon Japan, Play Asia, among other online stores. No word yet if stock will be replenished. REGULAR EDITION – Includes main figure, smiling face plate, hat head part, open hand parts (left and right), wrench hand part, display base. 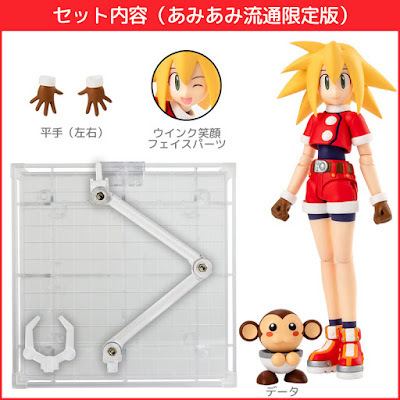 LIMITED EDITION (AmiAmi Exclusive) – Includes main figure, winking smile face plate, hatless head part, open hand parts (left and right), Data, display base. So yeah; each version includes their own *exclusive* parts. Regular Edition gets Roll with her hat and wrench part. 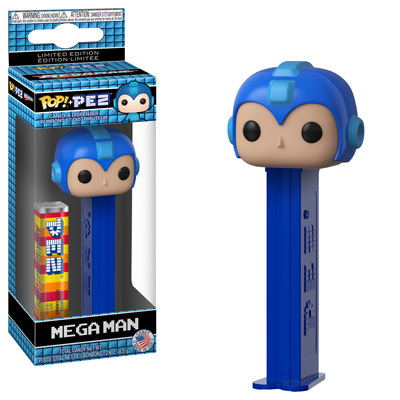 Limited Edition (again, an AmiAmi exclusive) gets the hatless head part and a little Data figure. I don't know why they're taking this approach, but there it is. Both versions are expected to ship later in December. Grab a pre-order or two in the links above! 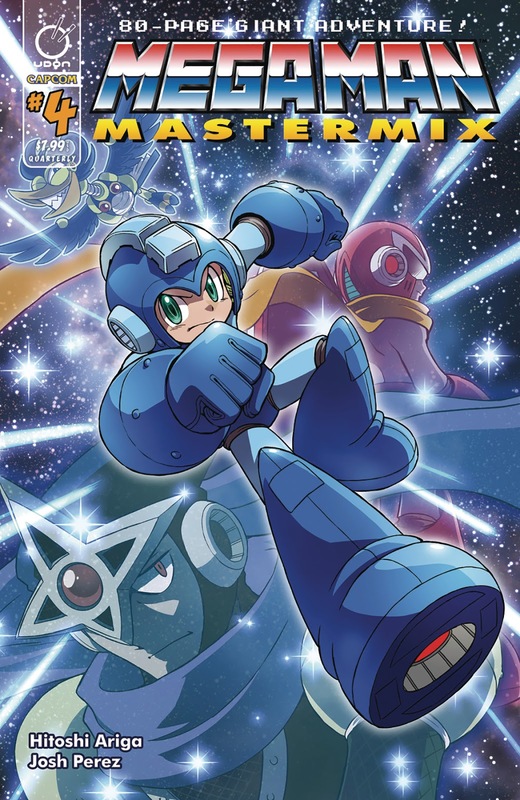 "The Blue Bomber returns to comics through the classic stories of Japanese artist Hitoshi Ariga -- available for the first time in color! Mega Man must team up with friends and foes alike to stop both the destructive Gamma robot, and the out-of-control Yellow Devil! 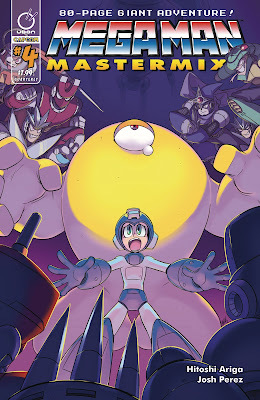 It's a giant robot rampage in the latest chapter of Mega Man Mastermix!" As per usual, Ariga is doing the standard cover. 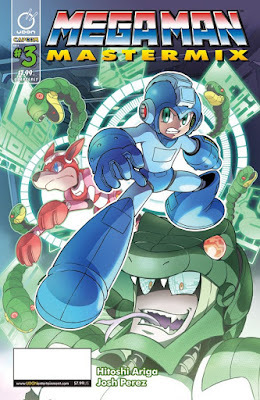 The variant cover this time is being handled by Andrew Dickman, a longtime Mega Man fan and friend to this very blog. Mastermix #4 is due to hit stores on October 24th. Mastermix #3, by the way, is still on track for August 15th. It's comin' soon! It's Friday, August 3rd in parts of the U.S and that means the first ten episodes of Mega Man: Fully Charged are now available to watch on the Cartoon Network video app and online. You can download the app here. Please note that in order to watch full episodes you need to authenticate your cable or satellite TV provider. At this time, the episodes are only available to stream in the U.S. I'll let you know if anything changes. As a reminder, the show will begin airing weekly on Cartoon Network in the U.S starting this Sunday, August 5th, at 6:30 am ET/PT. You can find the airing schedule right here. From my understanding, you can even watch it on-demand through your cable provider too. I don't know which specific providers will have it, so you may need to do some investigating on your end. So yeah; happy air day! I have enjoyed what I've seen of Fully Charged and I think many of you will too. 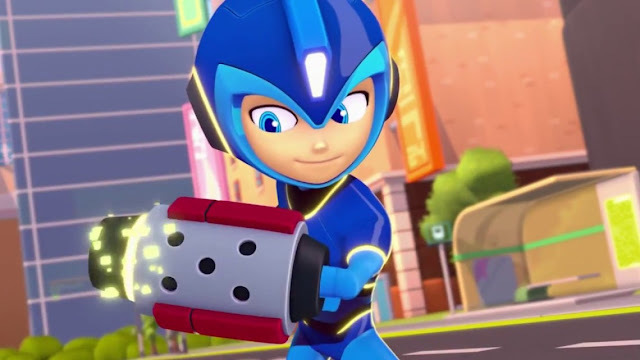 While it may not be for everyone (the intended audience is definitely young kids), the show does a pretty admirable job of honoring Mega Man's 30-year-history and, at the same time, creating its own identity. My closing advice to you is this: approach Fully Charged as a new series. It really is its own thing. Shown on Capcom TV's stream the other day, here's a little over five minutes worth of "Balloon Rush Mode" gameplay from Mega Man 11 (known as "Balloon Attack Mode" in Rockman 11). As the name implies, Balloon Rush tasks you with destroying as many blue balloons as fast as you can. If you accidentally destroy a red balloon or miss a blue balloon you'll get a time penalty. Based on the footage above, it looks like you can use Rush Coil and Speed and Power Gears to assist you. No word yet if Special Weapons will be at your disposal. 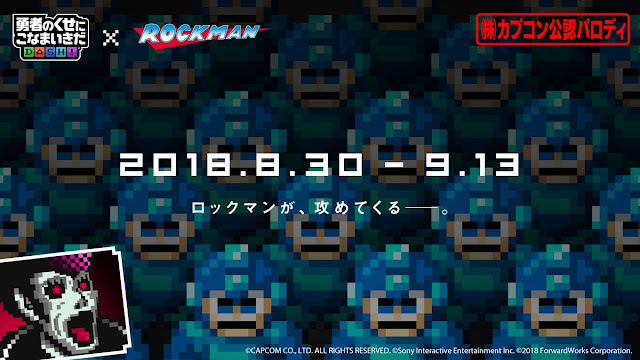 Both the official English and Japanese Mega Man 11 websites have updated with several character voice samples in their respective languages. You can listen to samples from Mega Man, Dr. Light, Roll, Rush, Dr. Wily, Block Man, Fuse Man, Blast Man, and Torch Man. The voice samples can be found under the the "overview/about" and "bosses & stages" tabs from the top of each site. Check 'em out in the links above. So far I'm digging the English cast. Bit of an oddity that, unlike the Japanese site, the English site has opted to not share the characters' voice actors. I guess we'll continue trying to name names by ear, yeah? On that note, anyone sound familiar to you? UPDATE: Todd Haberkorn confirmed he's Fuse Man. 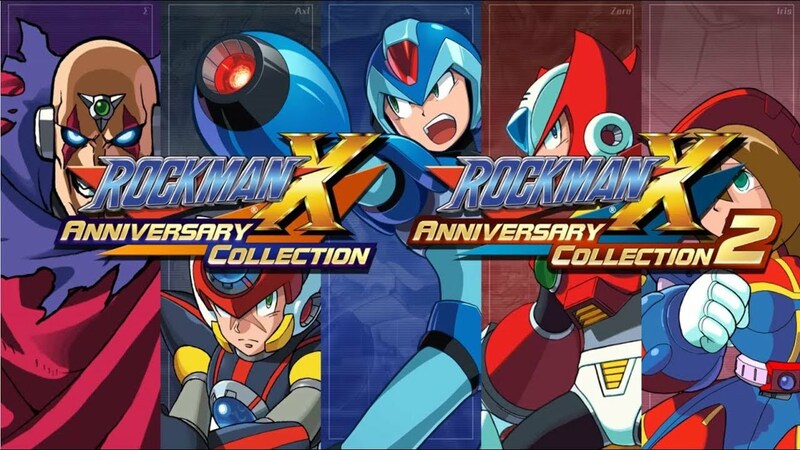 In its first week on sale at Japanese retail, Mega Man X Legacy Collection 1+2 debuted at #1. According to the latest Media Create sales data, MMXLC1+2 sold 29,270 units on PlayStation 4. Meanwhile, the Nintendo Switch version clocked in at #5 with 16,207 units. 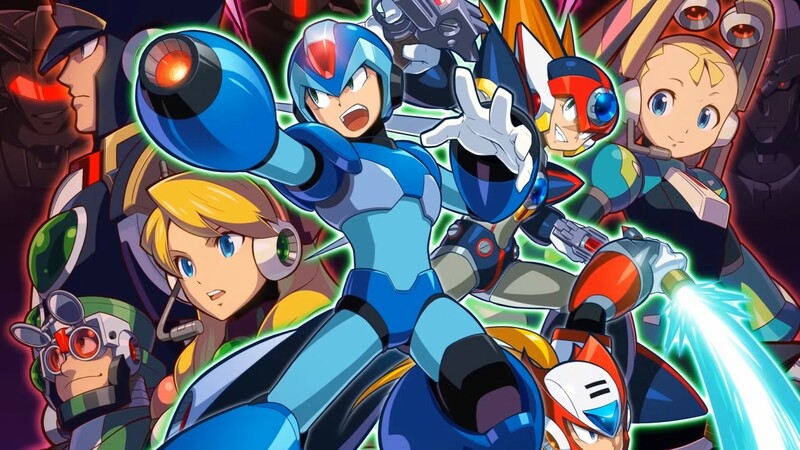 The individual release of Mega Man X Legacy Collection 1 for Nintendo Switch also charted at #18 with 4,246 units. Altogether the MMXLC1+2 moved 49,723 copies in its first week. That's pretty impressive. Also, FYI, this data does not include digital sales. I have no doubt the game(s) excelled on that front, too. So yeah; well done, Japan. Here's hoping this leads to some good things!